India vs Bangladesh Test: BCCI on Tuesday, announced the squad for upcoming only Test against Bangladesh and it is Abhinav Mukund who has been called for the match as he will be the third opening option in the 16 man squad. Mukund who plays as an opener for Tamil Nadu has made a comeback to the national squad for the one-off test against Bangladesh. Let’s us first See the announced Indian squad in India vs Bangladesh Test. Indian Squad for India vs Bangladesh Test: KL Rahul, Murali Vijay, Cheteshwar Pujara, Virat Kohli (c), Ajinkya Rahane, Wriddhiman Saha (wk), Karun Nair, R Ashwin, Ravindra Jadeja, Jayant Yadav, Ishant Sharma, Umesh Yadav, Amit Mishra, Abhinav Mukund, Bhuvneshwar Kumar, Hardik Pandya. About the Players includes newly or recalled in the Indian squad. Abhinav Mukund is a left-handed batsman who has played five Test matches for the national side and scored 211 runs at an average of 21.10. Mukund’s highest score is 62 and he played his last test against England in Nottingham, played from July 29-August 1, 2011. 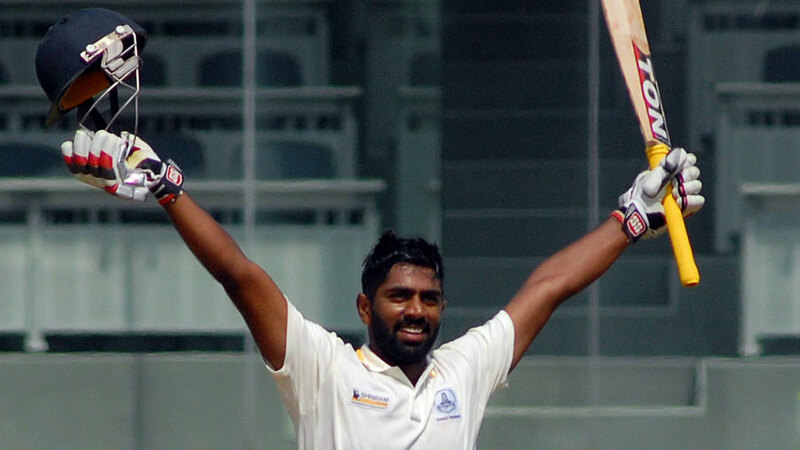 Talking about his domestic performance then this Tamil Nadu opener had to his name a triple-century, hundreds on Ranji and Irani Trophy debuts and a quadruple-century opening stand with India’s back-up Test opener, M Vijay. Other than Mukund, Wriddhiman Saha has also been included in the team to play the role of wicketkeeper and batsmen. His inclusion has led to the ouster of Parthiv Patel. This shows the efforts needed to finalise one’s place in the Indian squad as Parthiv Patel also performed exceptionally well in the last game he played for India and also performed well for Gujarat in Ranji either. Saha is currently in form and recently he scored the match-winning double century in the Irani Cup. Till now Saha has scored 733 runs in 30 test innings, for the national side. He has an average of 28.19 and the strike rate of 43.42. Considering his recent form, Shikhar Dhawan has been left out and Ajinkya Rahane will be the one to replace him. Four pacers who have been included in the team are Ishant Sharma, Umesh Yadav, Bhuvneshwar Kumar and Hardik Pandya, while the four spinners in the squad are- R Ashwin, Ravindra Jadeja, Amit Mishra, and Jayant Yadav. 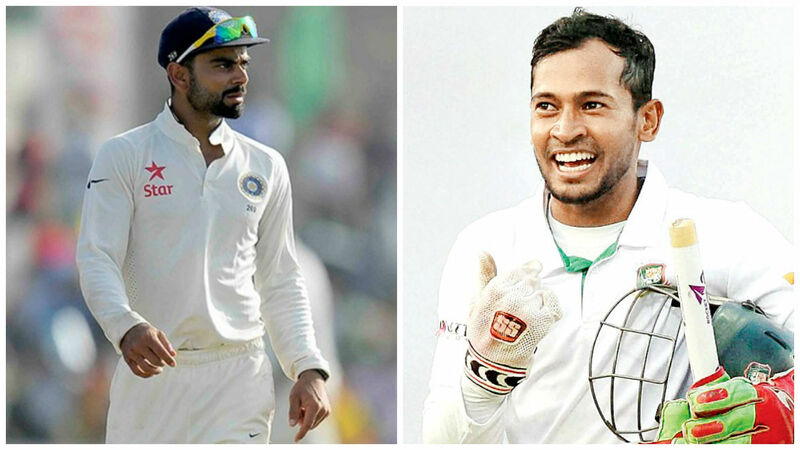 What happened when both these teams met face-to-face in last international test game? Last time when India and Bangladesh played the Test match, was in 2015 and it was India who toured Bangladesh. The tour consisted of one Test match and three One-Day International (ODI) matches. In the one-off Test, India won the toss and chose to bat but the match was interrupted by rain and it finished in a draw. However, both the teams already completed their first innings till that time. In that game, with the help of innings by Shikhar Dhawan, Murali Vijay and Ajinkya Rahane, Indians declared their innings at the score of 462/6. In response to India, Bangladesh scored 256 runs in total and they were all out in 65.5 overs. It was Ashwin who bagged 5-qwickets haul and destroyed Bangladesh in their first innings. Bangladesh then once again came out to bat on day 5 but most of the first session on day 5 was lost because of rain and the match ended in a draw. 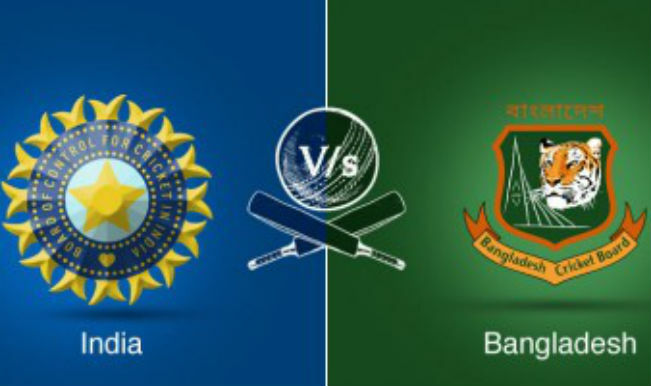 This time India will be the host and it will be the first time Bangladesh will be playing a test in India. Match will take place at Rajiv Gandhi International Stadium, Hyderabad. The match will be played from Feb 09, Thu to Feb 13, Mon. It will commence at 9:30 AM IST.